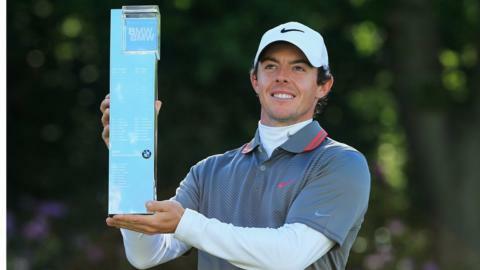 Rory McIlroy celebrates with the BMW PGA Championship trophy at Wentworth. 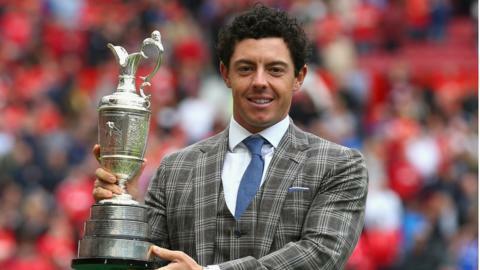 He carded a six-under-par 66 final round to beat Thomas Bjørn, who started seven strokes clear of McIlroy on the final day in May. 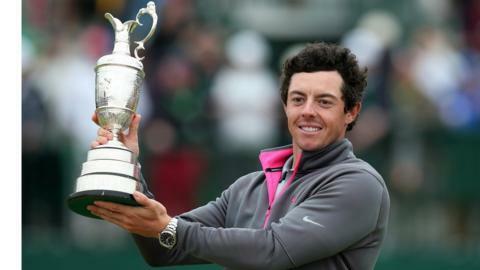 Rory McIlroy lifts the Claret Jug after winning The 2014 Open Championship at Royal Liverpool in July. 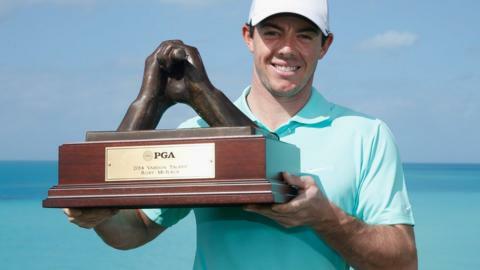 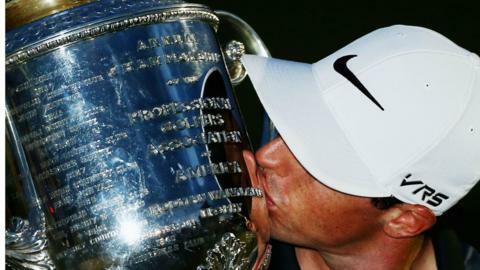 McIlroy saw off Rickie Fowler and Sergio García to capture the third major of his career. 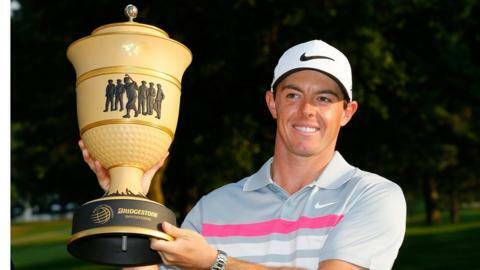 Rory McIlroy returned to the top of the world rankings in August after winning the WGC-Bridgestone Invitational at Firestone in Ohio by two strokes from Sergio Garcia. 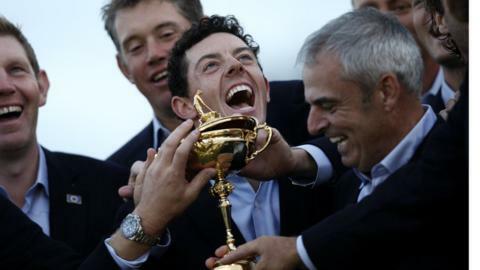 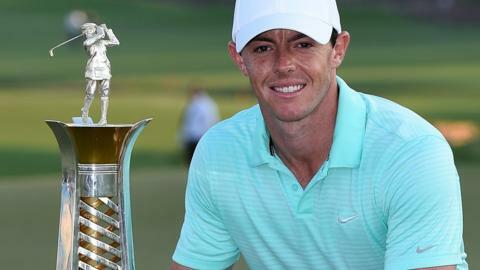 November saw McIlroy win the Race to Dubai for the second time in three years, without playing because Sergio Garcia, Marcel Siem and Jamie Donaldson failed to win.